Has your onboarding process been vetted out recently? If not, a stale process is not doing your organization any favors. An onboarding process that is limited to human resources formalities falls short in giving employees the skills and preparation they need to successfully perform their jobs. For that reason, it comes as no surprise that only 27 percent of companies are satisfied with the outcomes of their onboarding process. In order to address the rapidly increasing skill shortage that is present in new hires and the current workforce alike, organizations must evaluate their current onboarding strategy. “Onboarding is often overlooked as a formality rather than a key strategy to ensure well-performing new employees become productive and culturally aligned in an organization”, said Ester Martinez, CEO, and Editor-in-Chief at People Matters. “Onboarding offers a great opportunity to augment competitive advantage by creating a committed talent pool that gives the desired performance. It remains an untapped area of creating an impact to the bottom line.” The problem with many organizations the onboarding process is its focus. If you’re using crucial onboarding time to simply teach your organization’s mission and history, you’re missing the mark, not to mention the opportunity to bridge the skill gap and fast-track the upskilling process. 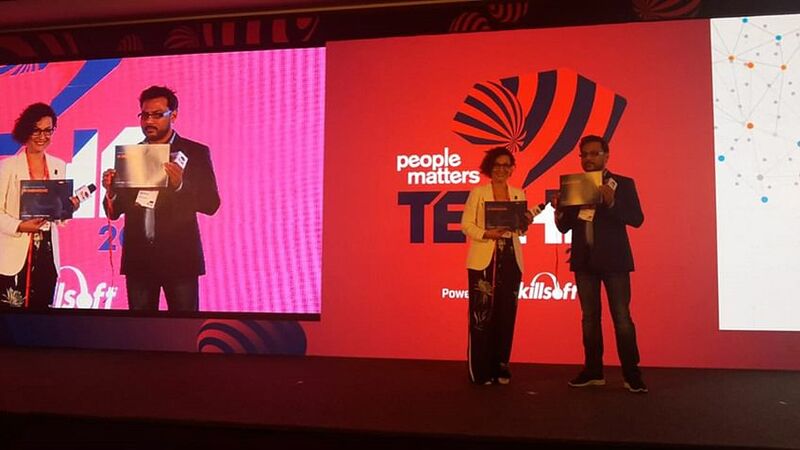 Simplilearn, in partnership with People Matters, recently announced the release of a research study assessing the current state of onboarding in India at this year’s TechHR Conference. The People Matters and Simplilearn study was produced to gain an understanding of how organizations in India are conducting onboarding and pre-boarding, and the use of technology in these processes. The study included the participation of 106 companies across various industries and sectors. Adoption of technology solutions in onboarding has not yet gained momentum in India. Only 24 percent of the organizations in the study are utilizing an onboarding technology solution. Lack of a structured onboarding process or relying too heavily on human resources to manage onboarding could be cited as the reason organizations are slow to adopt a technology solution for onboarding. A key finding from this report is the lack of response to the tremendous gap in the demand and supply of new digital skills required to perform jobs. The study found only 44 percent of the organizations that participated in the study begin pre-boarding new hires while they are still on campus. According to experts, it takes 3 to 6 months to train campus hires and make them productive on a project. Therefore, it is crucial for organizations to begin training and onboarding new hires immediately after the hire accepts an offer. Organizations are adopting multiple onboarding practices in order to speed up the process of skill onboarding. As found in the study, 49 percent of organizations use mentoring as an onboarding medium. Additionally, online skill training is effective in speeding up the training process and increasing candidates job readiness. It is crucial that organizations structure their onboarding process in order to upskill and retain talent. Successfully onboarding both new and lateral hires not only invests in the future of your employees, but in your organization’s reputation. An organization can improve their onboarding by leveraging technology and adopting pre-boarding to upskill and accelerate learning. If your organization is unhappy with the results of current onboarding process, then it’s time to shake things up. 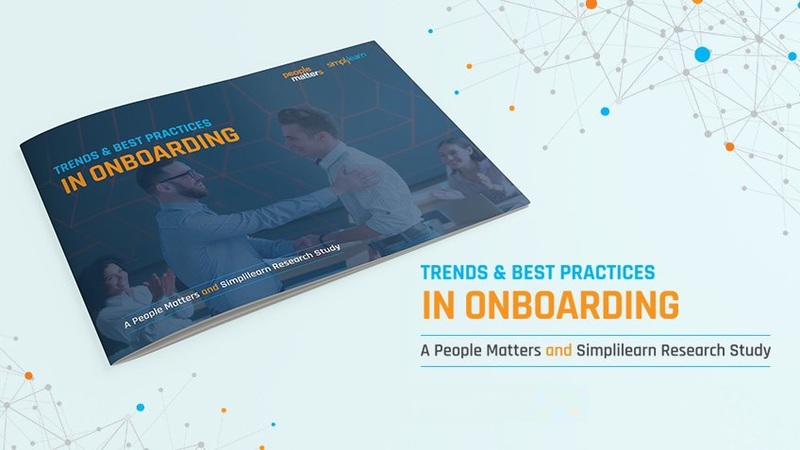 By downloading the full report you’ll have access to all of the key findings as well as expert views on employee onboarding best practices to assist you in restructuring your onboarding process. Kate is a Content Marketing Associate for Simplilearn with more than five years of experience in content creation and strategic marketing. Skilled at technical writing, Kate leverages her passion for storytelling to develop purpose-driven pieces. Kate holds a degree in Communication from Kennesaw State University.